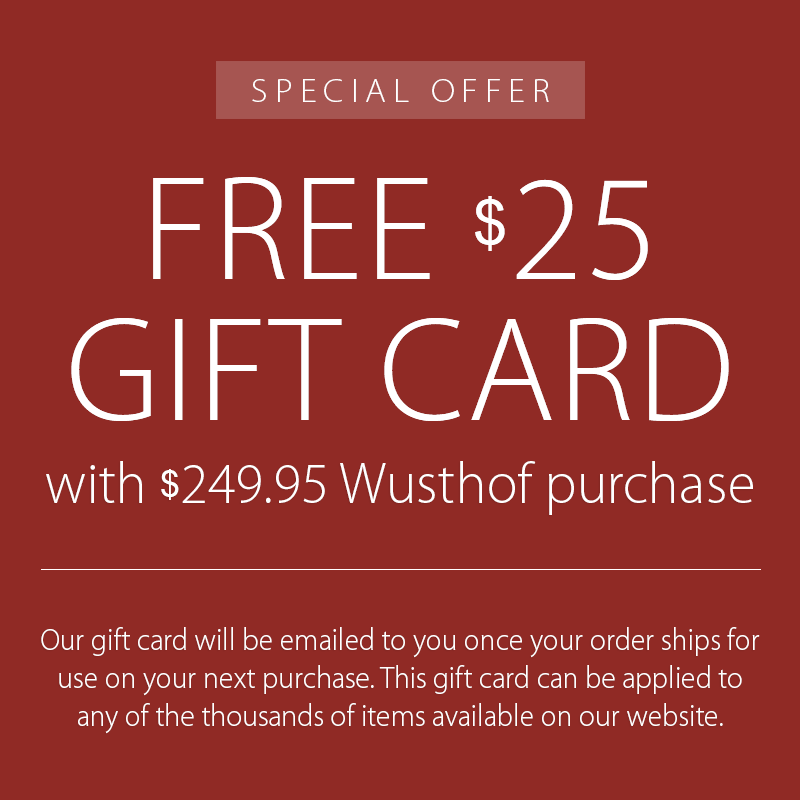 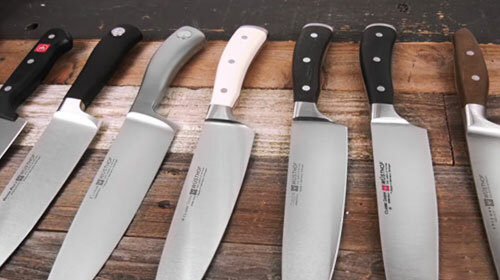 The Wusthof Gourmet Ridge Chef's Knife is an all-around kitchen knife designed for slicing and chopping fresh produce, meats and more. 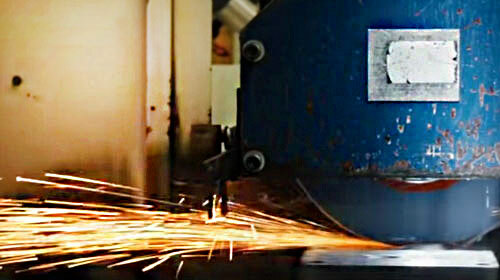 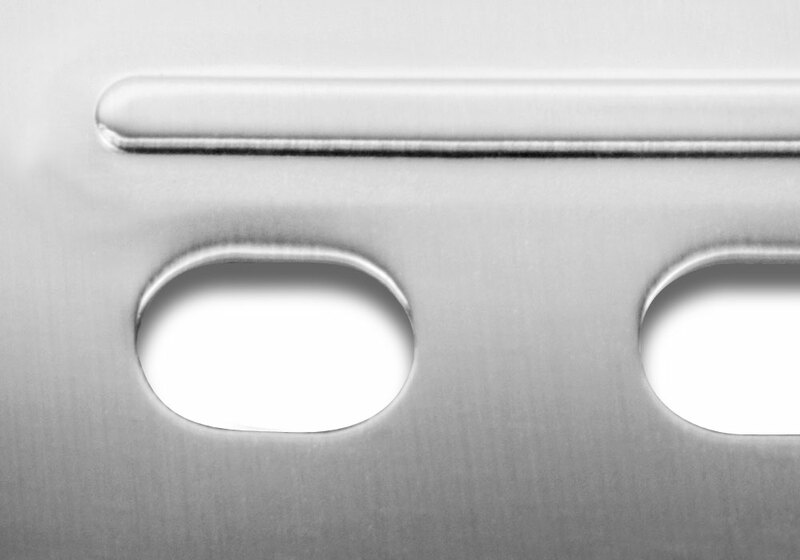 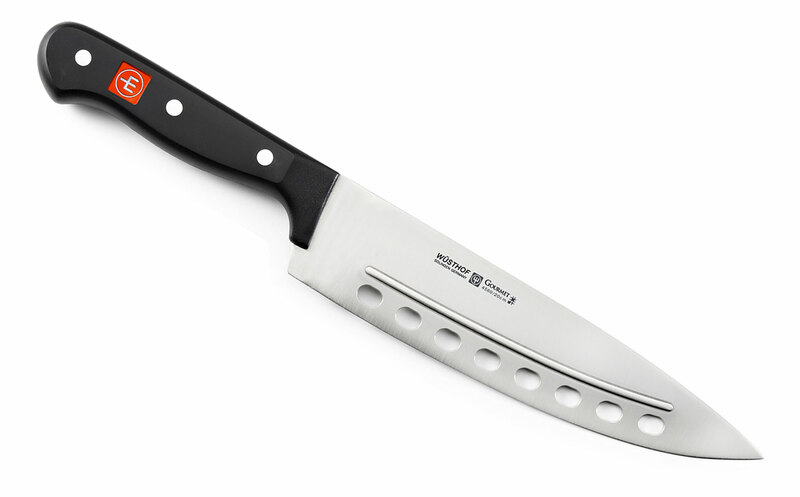 The unique blade features holes near the cutting edge to reduce the friction while cutting into foods, such as starchy firm potatoes. 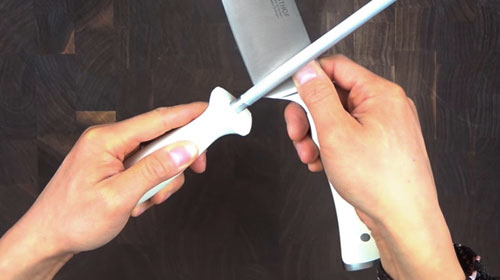 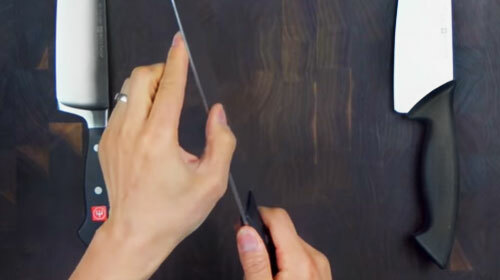 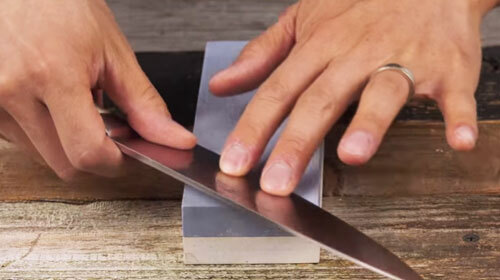 The ridge on one side of the blade helps push food off the blade while slicing. 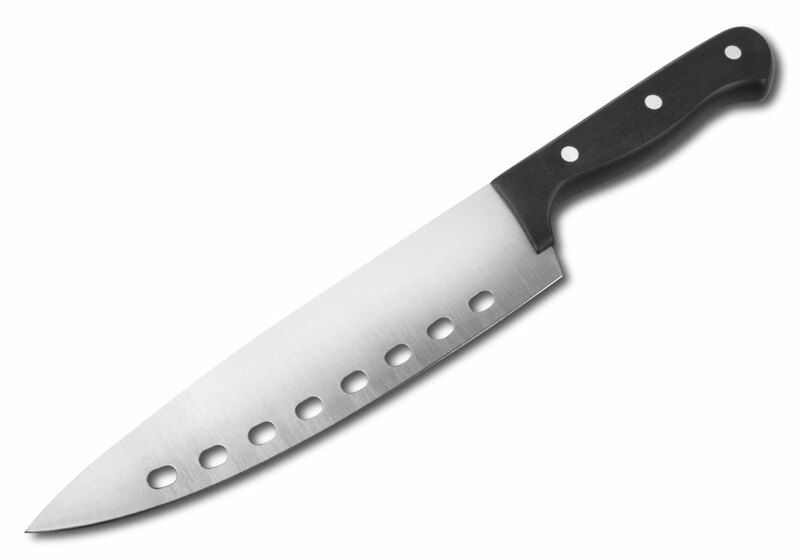 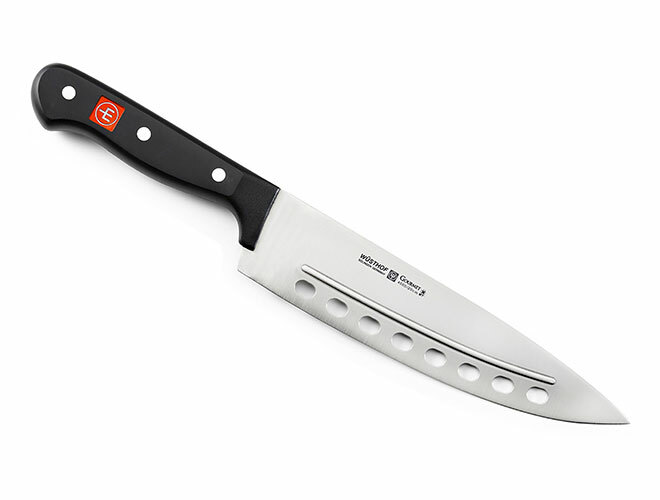 https://www.cutleryandmore.com/wusthof-gourmet/ridge-chefs-knife-p128552 28552 Wusthof Gourmet 8" Ridge Chef's Knife https://cdn.cutleryandmore.com/products/large/28552.jpg 94.9500 USD InStock /Cutlery/Chef's Knives The Wusthof Gourmet Ridge Chef's Knife is an all-around kitchen knife designed for slicing and chopping fresh produce, meats and more. 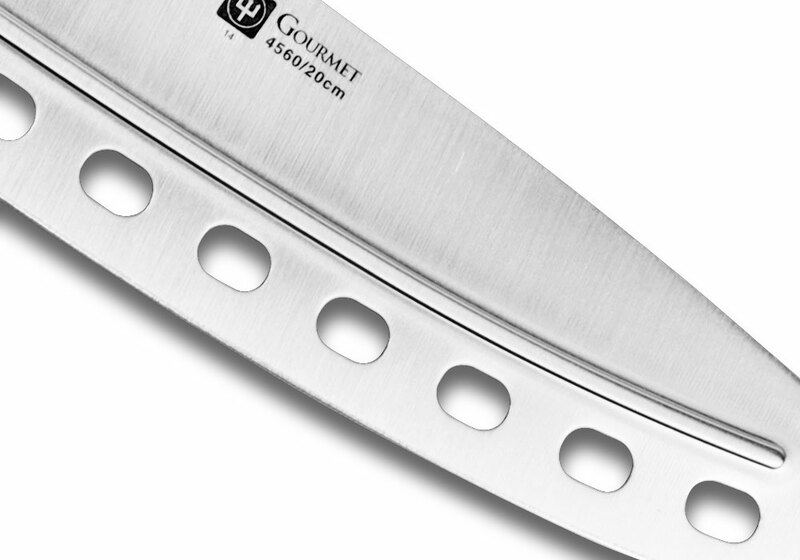 The unique blade features holes near the cutting edge to reduce the friction while cutting into foods, such as starchy firm potatoes. 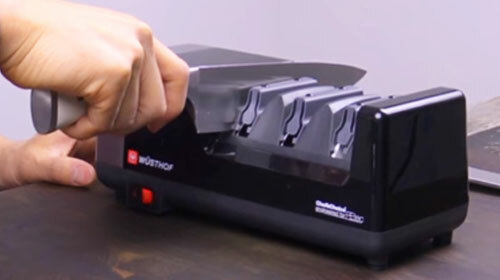 The ridge on one side of the blade helps push food off the blade while slicing.